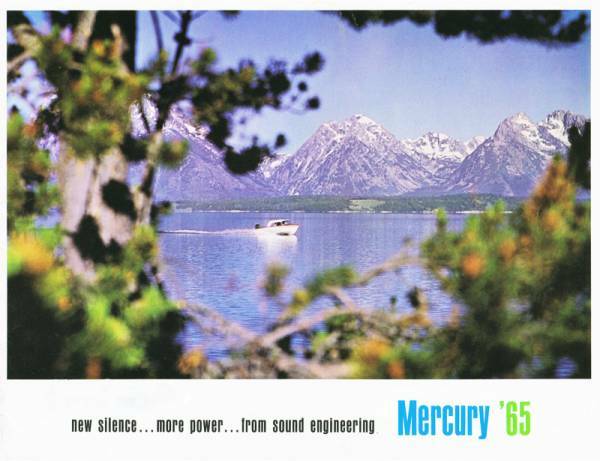 I dug this vintage 1965 Mercury Brochure out of my collection. Here's page 2 & 3. Love the first picture. I wonder where that was taken. Anyone have any ideas. My first guess would be Mercury's lake X, but I don't remember there being mountains there. But typically that's where Merc has taken many of their promotional shots over the years. And what is Mercury's Lake X? It's a private lake that Mercury owns and they use it for testing. It's a sorta top secret kinda deal. Here's page 4 & 5. Here's page 6 & 7. Here's page 10 & 11.